The Forest Governance Project, financed by the European Union, is developed in Belize, Guatemala, Honduras and Nicaragua, by a consortium of indigenous and community based organizations led by ICCO. In the Guatemalan regions of Huehuetenango, Quetzaltenango, TotonicapÃ¡n, Verapaces, San Marcos and Jutiapa, it is implemented by UTZ CHE, to strengthen operational capacities of agroforestry communities and their effective involvement in forest governance and sustainable management. 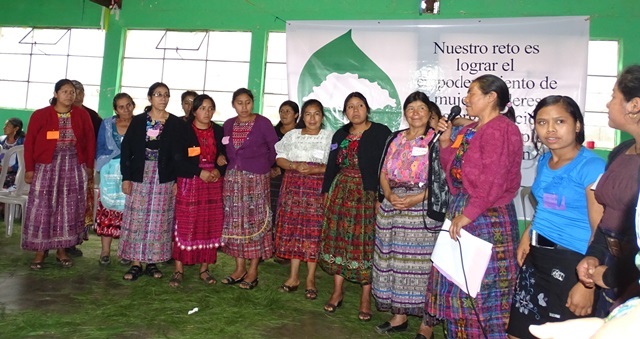 Utz Che is a Guatemalan Community Forestry Association representing around 40 community based organizations. Its affiliates have approximately 32,500 members including indigenous and peasant from all over Guatemala, dedicated to sustainable management of their forests, forest plantations, mangrove, biodiversity and other natural resources. Utz Che was formed with the objective of speaking with one voice on rights and forestry incentive programs, build capacities of its members and exchange information. Utz Che also belongs to the National Association of Community Forestry Organizations (ANOFCG), made up of 300 community-based organizations with more than 77,000 associates, 400,000 beneficiaries and more than 400,000 hectares of FSC-certified forests. In the framework of this project, Utz Che will strengthen alliances with the networks and platforms of users of the Forest Incentive Programs (PINPEP and PROBOSQUE) auditing the responsible and equitable distribution of public resources. Through the systematization of cases of Indigenous Community Forestry, alliances with universities and environmental NGOs will be increased.